In 2013 has been produced vessel Elan 444 Impression named ABRAKADABRA. 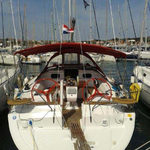 She is placed in marina Trogir in region very close to Split in Croatia. 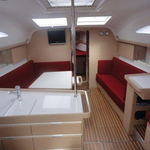 You can accommodate up to 10 passengers on the yacht ABRAKADABRA. Scheme of sleeping places is 10 (8+2). There are 4 cabins located under boat's deck. ABRAKADABRA has 2 toilettes. Check other yachts in this site: Yacht charter Split. Diesel tank is 230.00 l liters capacious , tank for water has up to 515.00 l liters. In this sailboat there is motor 55 hp. 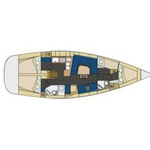 With 13.85 meters of LOA and 4.18 m of beam ABRAKADABRA offers enough space for comfortable sailing. 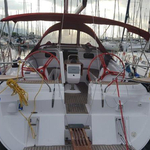 Elan 444 Impression ABRAKADABRA is equipped with: Plotter gps in cockpit, Autopilot, Gps plotter, Internet Wi-Fi, Radio / cd player, Dvd, TV, Heating, CD/MP3/USB player, TV, DVD/CD player, Furling mainsail, Bimini top, Anchor electric windlass, Teak cockpit, Dinghy, Bow thruster, Freezer. . Nonrefundable deposit is 2000.00 EUR. 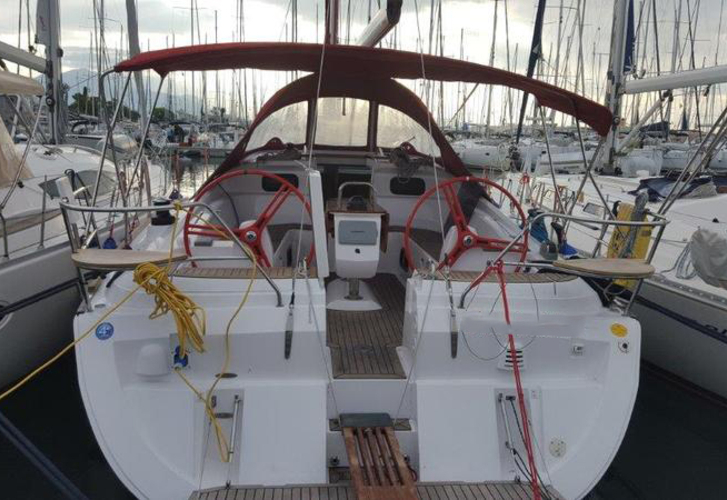 You can search other vessels in this section: Yacht charter Trogir.